How much does an equipment failure cost? If you could predict a failure was imminent and prepare for it, how much could you save? Monitoring critical equipment allows you to be proactive with your maintenance. 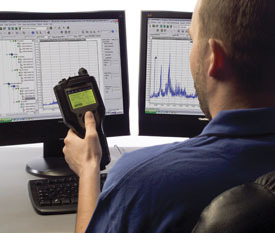 Vibration analysis can alert you to probable failures. Being prepared for your next scheduled shut down will reduce costs and increase productivity. It more than pays for itself. 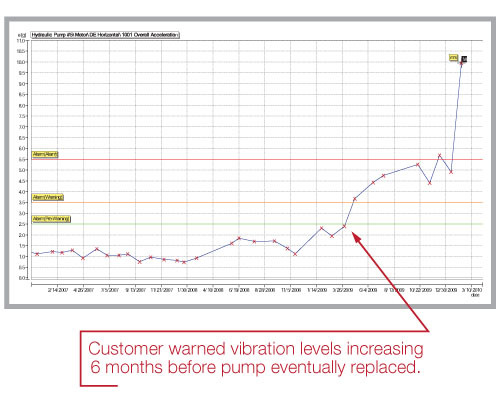 Increasing vibration levels are a tell-tale sign of imminent bearing failure.